The Tropitone® Montreux Padded Sling Collection of outdoor patio furniture, named after the site of the jazz festival in Switzerland, was such a hit that it is making an encore appearance with Montreux II. This sturdy patio furniture collection brings the comfort of the indoors outside. With a blend of extruded aluminum and cast-aluminum details, Montreux II Padded Sling Seating features a well-proportioned frame, stylishly curved arm support, and sling-construction with an extra layer of fabric integrally sewn to the sling for added durability and comfort. 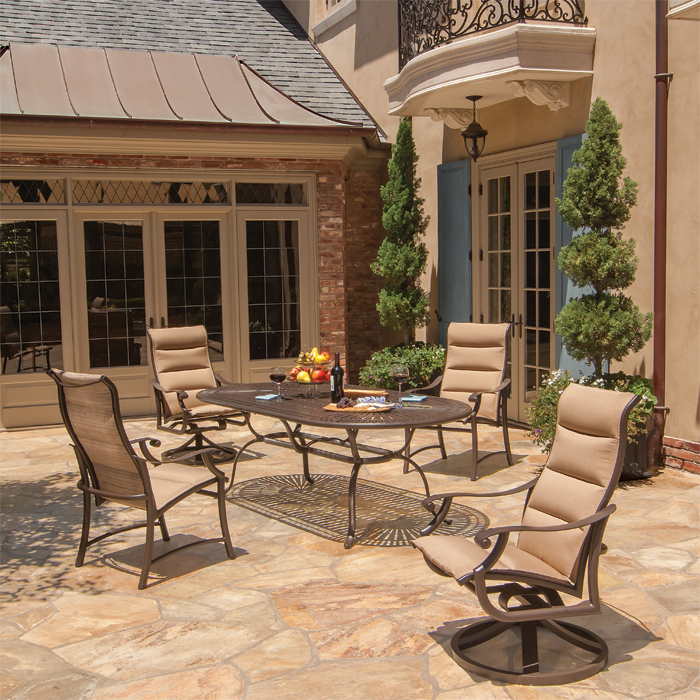 The Montreux II Padded Sling Patio Furniture will transform any outdoor living space into a showstopper.